is just one of the many ways Rotary can help you become a better leader. As an incoming club president, you are required to attend two training events to best prepare you as your club’s leader. First we introduce you to the District Leadership Team, your Assistant Governor and the district committee chairs at our pre-PETS event. You will learn about District initiatives, service projects, goals and collaboration opportunities through out the district. Then you are introduced to the other incoming club presidents through out all of Ohio at the All Ohio P.E.T.S. event. Outstanding speakers and break-out sessions will fill your 2 days. You will learn about RI policies, procedures and programs and opportunities that you and your club can become engaged with. This is our annual fall training event for all club officers and committee chairs and all Engaged Rotarians are encouraged to attend. Topics presented include; Membership, Foundation including District Grant Qualification and Public Image. This is our annual spring training event for all incoming club officers and committee chairs and all are encouraged to attend. Topics presented include; Membership, Public Image, Global Grants, Club Secretary and Treasurer training. Plus many additional topics on our various Youth Programs. The Rotary Leadership Institute (RLI) is a multi-district, grassroots leadership development program of member districts organized into regional divisions in various parts of the world. 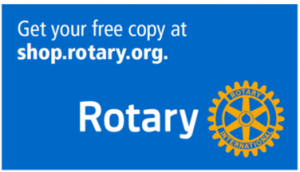 RLI is not an official program of Rotary International.